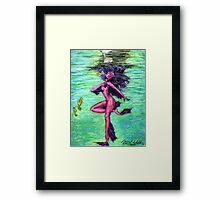 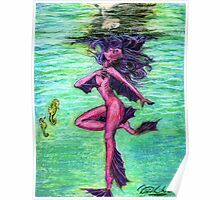 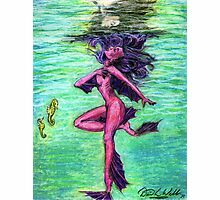 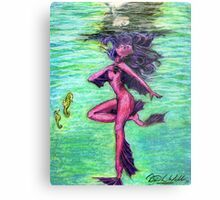 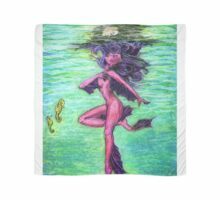 This original mermaid art drawing was inspired by the Germanic legend of “nixies”, or shape shifting water spirits that can appear in human form. My “Nixie Dreams” portrays a mermaid, or nixie, that looks up through the water’s surface at her reflection, which is that of a human girl. 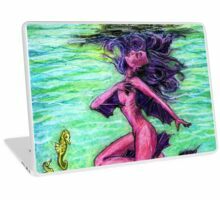 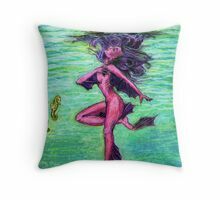 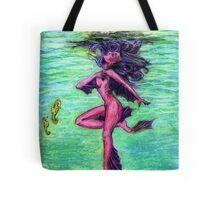 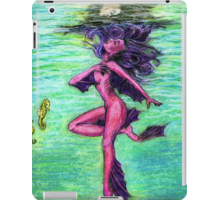 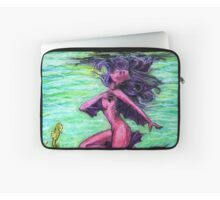 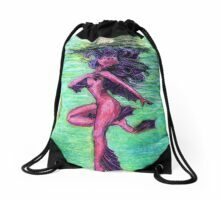 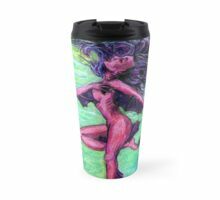 This mermaid’s skin is a fantastic color of pink, with purple fins on her feet, arms and legs that help her when swimming through the depths of the ocean. 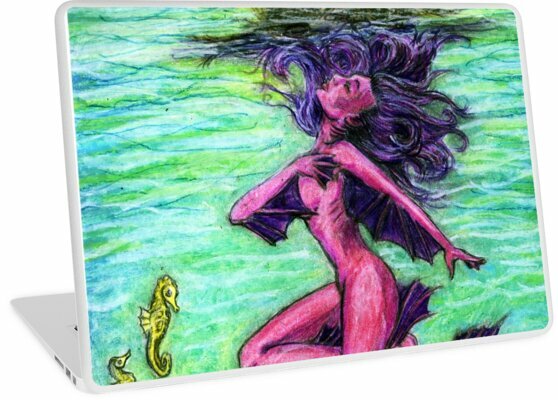 Her long flowing purple and pink hair is striking against the lime green and turquoise of the ocean’s shallows. 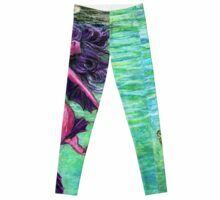 Two companion seahorses watch her intently.